Well, Halloween 2015 is almost here and its time to make any last minute shopping choices and decide what pumpkin carving patterns you want to use. Since Halloween is on Sunday this year, it will be great for kids and adults alike! We will all have the entire weekend to decorate our homes, host or go to Halloween parties, and to thrill and chill Trick or Treater's on Sunday night. What a great Halloween we will all have this year. Be sure to stop by Halloween Online though out the month, as we will be adding all sorts of new Halloween articles. With this idea I thought of collecting for you some great Halloween Pumpkin Carving sites and information so that you can enjoy this Halloween even better. Here are some great sites you can visit! This site above has one of the best Pumpkin carvings and I highly recommend all of you to go and visit it! Another great site you will get fantastic Templates for Halloween Pumpkin Carvings is eHow! I just adore this site! You will get Printable Halloween Pumpkin carving Patterns here! 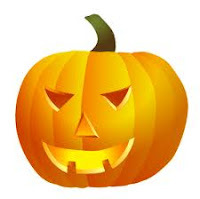 Another place to get information , articles and designs for Halloween Pumpkin carvings! These are only some of the links to some fantastic sites which will give you enough material to select from. Also coming up with some great Halloween Pumpkin Carving videos in my next post, so keep watching! Great Videos of Fruit Carving by Pornchai Kliangnin! Hi Friends, here are a series of four Great Videos of Fruit Carving by Pornchai Kliangnin! Each video will exhibit the art of Fruit carving on different fruits, and the results are to be seen to be believed! Once again this Art of Fruit and Vegetable Carving gets you craving for more! I am sure you will like these videos and watch them while I am scouting for some more of the best Fruit and Vegetable Carving Matter, and Videos! Have a great time!